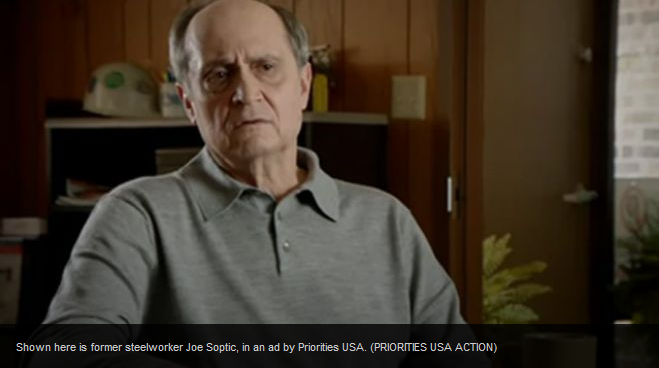 Today on the show, separate from any other observations/stories about this, we noticed the Joe Soptik connections in both Obama for America’s ad in May and the Super PAC “Mitt Romney Killed My Wife” ad. The FEC may have cause to look into collusion between the Obama Campaign and the Super PAC making the Mitt Romney killed my wife ad. He’s wearing the same clothes and it looks like old Joe has made it a cottage industry to be pitchman for the Obama Campaign. 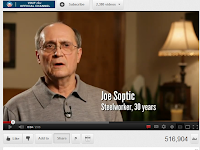 When President Obama’s aides said they weren’t familiar with former Missouri steelworker Joe Soptic’s life story, all they had to do was check their own campaign archives. Priorities USA Action senior strategist Bill Burton said the super PAC found shot its Soptic footage at a union hall in early February. 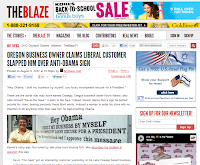 “We didn’t know that he was doing an [Obama campaign] ad,” Burton said. Kevin “The Geek” Kerwin will tell his story Thursday on FOX News on the Greta Van Susteren Show. A businessman who was drowned out of New Orleans after Hurrican Katrina, Kerwin says he made his way to Oregon with only the money in the bank and in his pocket. He got not government hand outs. On Tuesday an older woman shuffled into his store, demanded he take down his latest sign (see above) and then slapped him when he refused. 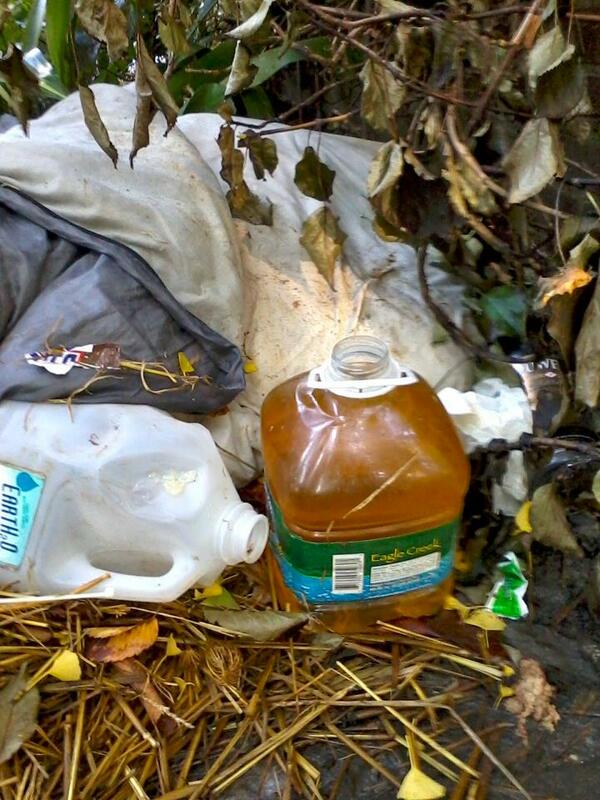 See my post here which caught the attention of Fox News. 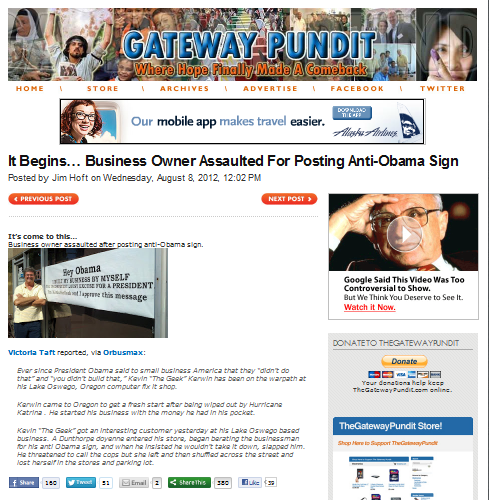 It’s has already made The Blaze and Gateway Pundit. Because of that exposure, Americans now know what was not admitted at the time: The Obama regime in Washington deliberately decided to discriminatorily not enforce the law equally when the perpetrators were the politically-favored Portland Occupiers who broke the law in occupying federal property in Portland. 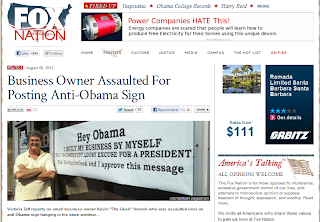 What, pray, would Obama have down if the perpetrators were, say, Tea Party Patriots? 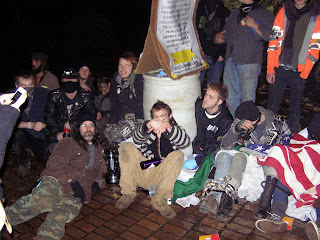 Before whines arise that I have pejoratively described the Portland Occupiers, I identify the Occupiers as naught but a narcissistic bratpack based upon my experience, after military service (Army), as a veteran of the real Civil Rights Movement. That was a real “movement,” not a tiny temper tantrum of pampered civil rights pretenders. In the real Civil Rights Movement, there were real consequences. 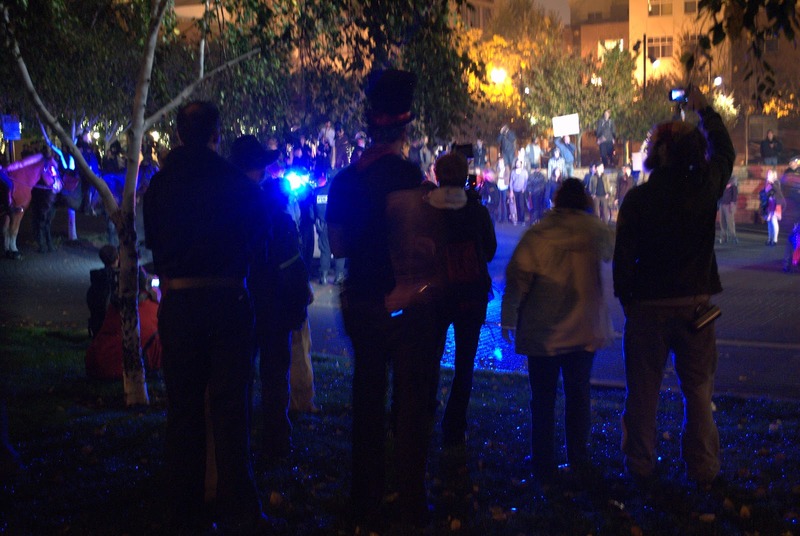 Participation even in peaceful, non-violent demonstrations could result in beatings, or death — and did. In short, In the real Civil Rights Movement, non-violant civil disobedience took some courage because we were not given a pass to violate the law with impunity based on political point of view. In that movement the goal was, and we fought for, “equal application of the law,” not “unequal” discriminatory enforcement or non-enforcement of the law. Self-defined Liberals in and out of government called for “equal enforcement of the law,” as a matter of Liberal principle. Now, however, latter-day Liberals in the Obama Era of a “transformed America” have abandoned that principle of equal enforcement of the law. 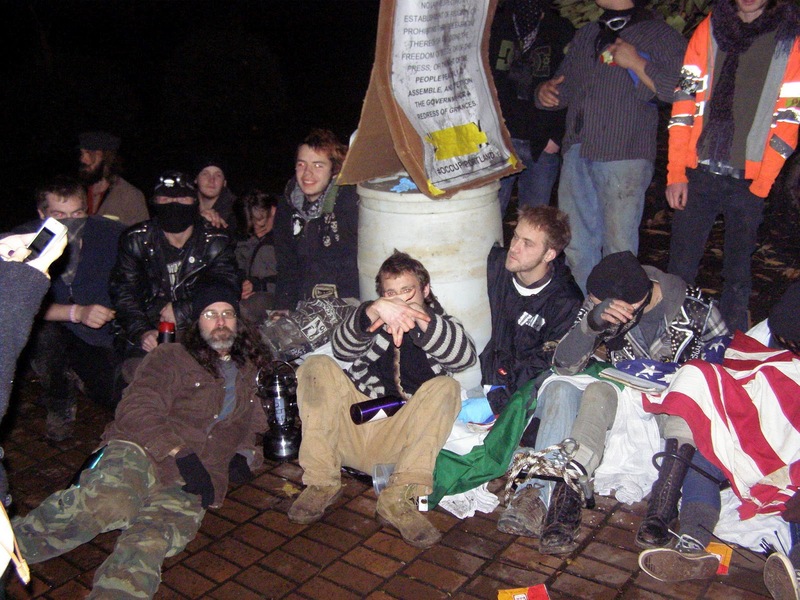 Liberal (ultra-Liberal) Portland Occupier pretenders are beneficiaries of unequal (non)enforcement of the law, given a discriminatory pass to violate the law. The Portland Occupier Great Pretenders are met not with equal enforcement of the law when they deliberately break it to the detriment of other citizens. Rather, they are the beneficiaries of Liberal unequal non-enforcement of the law. Indeed, they are, quite literally, embraced by Liberals in high or governmental office. 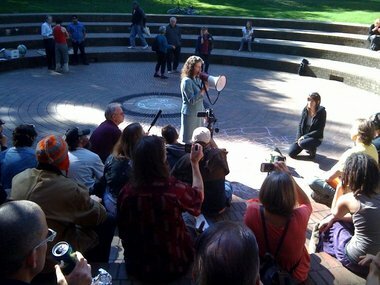 The Occupiers, knowing they have nothing to fear in Portland, the Principality of Liberal Political Correctness, openly break the law, and receive literal “hugs” by ultra-Liberal Portland Mayor Sam Adams, the homosexual predator City Hall Men’s Room Seducer of a 17-year-old “intern,” by other members of the Liberal Portland City Commission, Liberal Sen.Ron Wyden, Liberal Sen. Merkely, and other other Liberals who rushed down to have their photos taken with the their arms around the bedraggled misbegotten spokespersons of the misbegotten Portland Occupied alleged movement, a disgrace to the real Civil Rights Movement, and to “Liberalism” when it had integrity. So, whatever happened to those Liberal government officials, and other Liberals in Portland and nationally, who allege they stand for the principle of “equal enforcement of the law,” but are silent when the ultra-Liberal Obama administration once again discriminatorily fails to enforce the law equally based upon political preference of the perpetrators when that “preference” is ultra-Liberal, and pro-Obama? 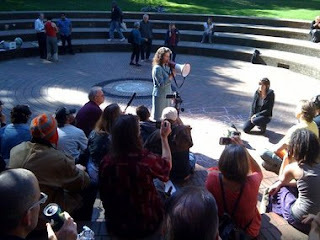 The failure of Barack Obama as President, and his hand-picked Attorney General Eric Holder to equally enforce the law against the Portland Occupiers is consistent with their failure to “equally enforce” the law against the New Black Panther Party thugs intimidating voters at the polls — and failure to enforce the election laws generally depending on the color or political preference of the perpetrators, and the color or political preference of the victims. For those failures, allow me to recommend a read of “Injustice,”by J.Christian Adams. He is the career DOJ attorney who resigned over the racialist enforcement (and non-enforcement) of election law protections by Obama and AG Eric Holder. This includes but is not at all limited to the disgrace of the Obama-Holder failure to prosecute the New Black Panther thugs — staunch Obama supporters, manifestly based on race. Obama and Holder not only did not prosecute those law-breaking thugs criminally. Obama’s DOJ under Holder also failed to follow the court’s order to file a judgment against the New Black Panther in a civil case after the defendants failed to appear and the court ordered the DOJ to enter a default judgment. Evidence of this discrimination, and systematic discriminatory enforcement of law by the Obama administration, directed not by career DOJ attorneys but by Obama’s political appointees in the DOJ, is set forth in detail in Adams’ “Injustice.” There has been no effective refutation of the evidence Adams cites by the Obama regime. In short, the discriminatory enforcement or non-enforcement,of the law of the ultra-liberal regime of Barack Obama, is a disgrace to what was once principled classical Liberalism which insisted on “equal application of the law,” and it is a disgrace to the real Civil Rights Movement, the aim of which was “equality under the law,” not unequal enforcement of the law based upon race, color, creed, or political point of view. Good people died in the real Civil Rights Movement for those principles. Obama, the Occupiers, and hypocritical Liberals who remain silent when the Liberal Obama regime in Washington and the Liberal regime in Portland discriminatorily enforce the law, are a disgrace to those principles, and to the real Civil Rights Movement. Hillary Clinton Booty Dancing. You’ll Never Be Able To Unwatch This. Thank you for this gif, Buzzfeed. You can find it here. Let’s be clear, tax avoidance is legal, tax evasion is illegal. In the former you take your income and look for the legal ways in which the law allows you to keep more of it. Isn’t that nice? In the latter you do what dozens of Obama White House folks do and EVADE the taxes. You either don’t pay them as TREASURY SECRETARY Tim Geithner and White House employees have chosen to do or you hide your money like those drug cartels that the President sold guns to in Operation Fast and Furious. Capice? Now the Presidents right hand man, David Axelrod is taking to twitter to suggest that there’s something malevolent about tax avoidance. Axelrod claims Romney ran a “tax avoidance scheme.” As a Marriott audit panel member, isn’t Romney supposed to do everything to better the financials of the company within the law? Isn’t that his fiduciary duty? Now, of course, the people who brought you the trillions in spending, million dollar stimulus jobs, and recovery summers 1.0, 2.0, 3.0 probably don’t understand that. This is why they should be gone. Still, it makes you wonder if this is the next gambit of the greedy, money grubbing Obama Administration: demonizing tax deductions. Sure sounds like it. Good News: Mitt Romney NOT a Murderer! 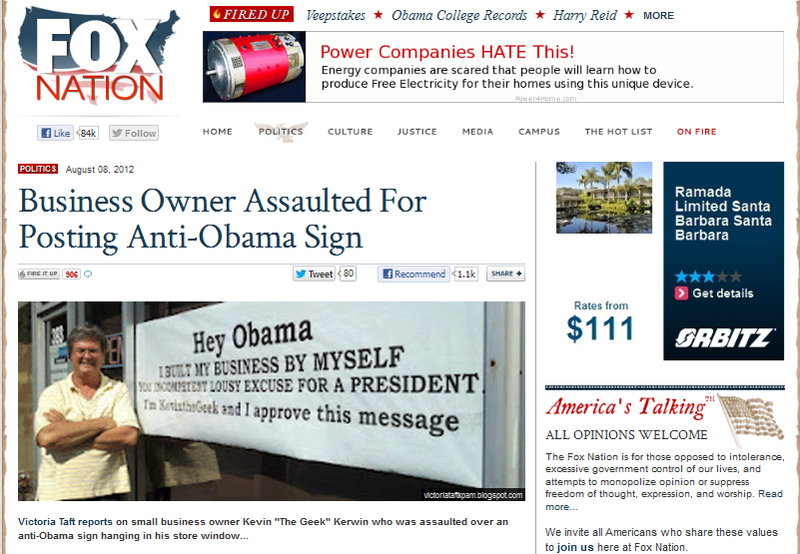 Perhaps you’ve seen the latest Obama Super PAC (lovin’ that Citizens United SCOTUS decision now, huh?) 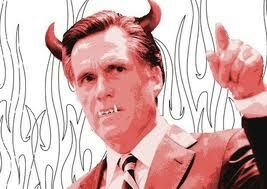 calling Mitt Romney a liar wimp dog abuser tax cheat mean murderer. 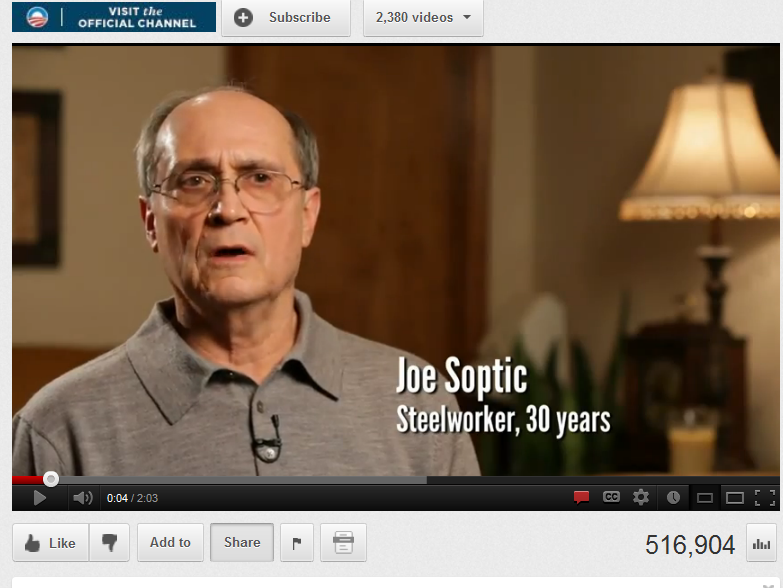 In a heart rending ad a man claims Mitt Romney’s Bain Capital shut down the steel mill where he was working. He lost his insurance, then his wife got sick and wouldn’t go to the doctor and then she died just days later. Mitt Romney killed her. He doesn’t care. He’s a murderer. See the ad below. One problem: It’s not true. And most delish of all? 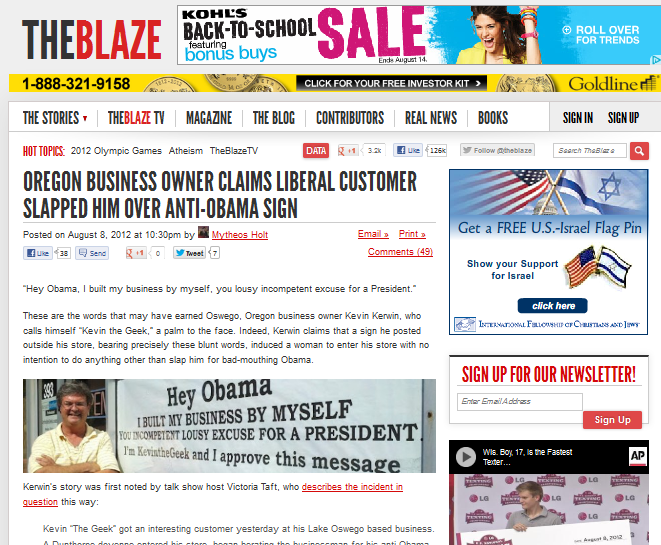 Obama’s campaign has been outed by the likes of “just a blogger” and CNN. even at Bain at the time this guy’s company was closed. We find out his wife had insurance with her employer. We find out that her death occurred six years after the steel company was closed down. See the story at Gateway Pundit here. But the widowed man, an Obama employee who has also appeared in at least one other Obama ad, thinks his lies really aren’t lies because he feels they’re true. Just feels they’re true. Watch this story from CNN.